Location: On ground floor of Park Hotel, between Park Place and Park Lane. See under Park Hotel, Park Place (East Side). 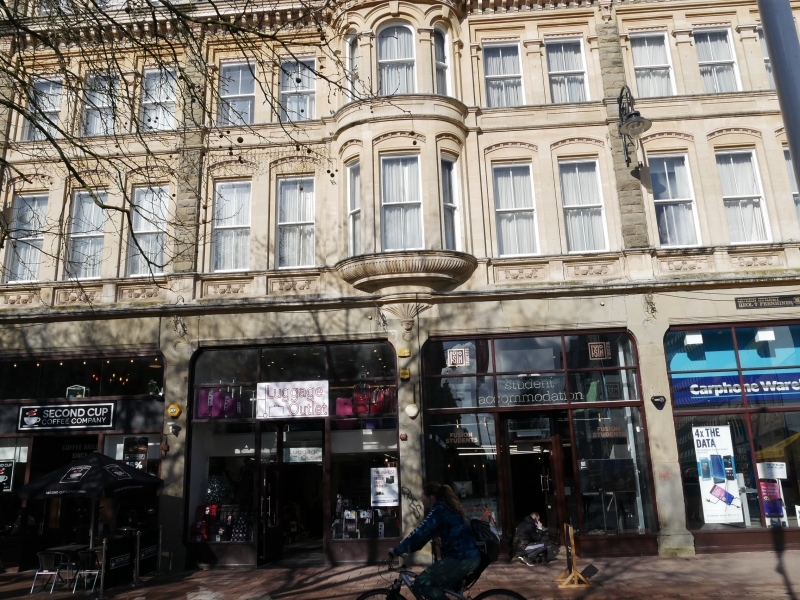 These shop fronts in Queen Street (nos 89 to 107) are modern but are enclosed within grey stone piers of the ground floor of the Queen Street front of the Park Hotel. The address of the hotel itself is in Park Place. Included as integral part of Park Hotel. On large site on corner of Park Place and Queen Street. To L of Park Hotel. Large block on N side of Queen Street, opposite Cathedral walk entrance to St David's Centre. On corner with Greyfriars' Road. Forming west side of Windsor Place, between Stuttgarter Strasse and Windsor Lane.